At last, the DC Extended Universe has a winner on their hands. 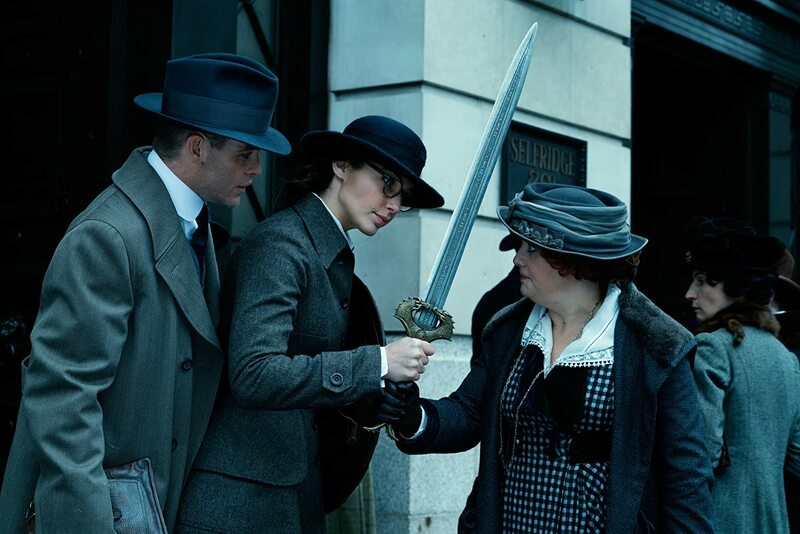 The feature film debut of Wonder Woman in the lead role, Patty Jenkins has crafted a surreal epic that follows the courage and strength of Diana Prince who stands up for what’s right and tries to end the first world war. From the opening scenes we’re presented a different looking film compared to the previous three DCEU films. Home of the Amazons, the island of Themyscira is lush in color, from the green forests to the crystal clear water that surrounds the sandy beaches. Jenkins brilliantly establishes scale and spectacle as we pass from the mystical Themyscira to the battered and bruised Europe which is currently the center of the first World War. The moment Diana and Steve (Pine) enter London she states the ugliness of their whereabouts. The London we see is grey in color and shows the despair of the civilians. The portrayal of how gruesome the war is shocks Diana but only motivates her to push harder. One of the largest complaints with the recent DC movies was its lack of humor and overall dour mood. Wonder Woman stands out thanks to the natural comedy from Gadot and Pine. Both characters experience fish out of water moments as they both witness new worlds. As the two of them get to know each other they start asking questions about their respective race and culture. What starts as awkward soon becomes smooth in its delivery as they bounce off each other with ease. When arriving in Europe, Prince’s naivety results in more than a few charming moments, such as her trying on different outfits to blend in with the crowd. Adding a supporting character like Trevor’s secretary, played by Lucy Davis, helps to add levity to the movie in an attempt to avoid a dark and depressing tone throughout. Gal Gadot as the title character is fantastic as her on screen charisma makes it easy for the viewer to root for her. Even after her breakthrough performance in Batman v Superman there were still naysayers who were against her casting. In Wonder Woman Gadot proves her worth as her physicality leaves a lasting impression while still giving a nuanced performance in which she must show an array of emotions. Thanks to Patty Jenkins and Gal Gadot this movie will help to inspire a new generation of actresses and filmmakers as Wonder Woman makes for the ideal role model. Coming off a successful 2016 that saw him star in both the acclaimed Star Trek Beyond and Hell or High Water, Chris Pine once again shows that he is one of the best actors working today with his performance in Wonder Woman. Pine plays Steve Trevor, an American spy who crash lands in the unsuspected waters of Themyscira. We soon discover Trevor’s commitment to his country as he had stolen important weapon plans from the Germans. Trevor is a rogue soldier who has seen the grim war up close and personal and we see the confliction he has when he thinks he is holding back Diana for the better. The chemistry between the two of them blossoms throughout the film as they both care for each other but know helping to end the war is the priority. Both characters have depth to them which further raises the stakes as they go into battle together. 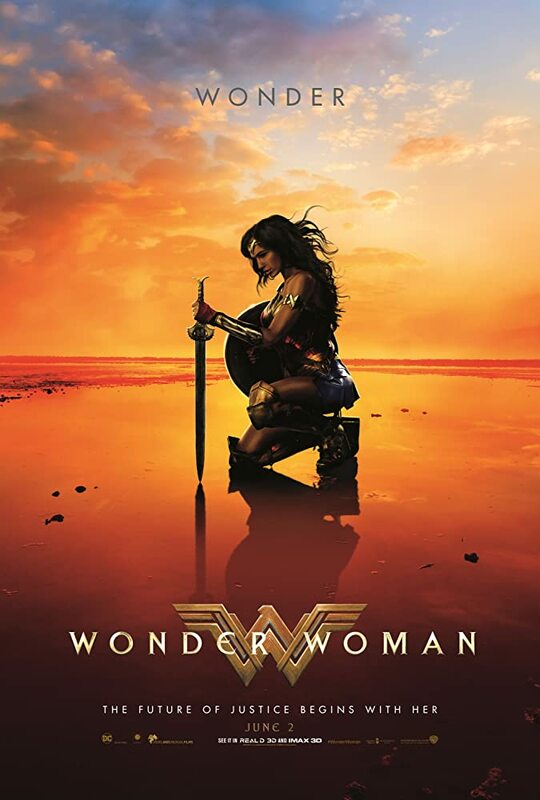 The films supporting cast help to elevate the story more as characters such as Queen Hippolyta (Connie Nielsen) and General Antiope (Robin Wright) explain the history of Themyscira to the viewers. Both actresses have scenes with Gadot that serve as motivation as she leaves home in hopes of ending the war. For the first two acts of the film the pacing is steady and never drags. The storytelling only has a few flaws throughout but the flaws it has are glaring and hurt the movie down the stretch. The two villains established early on lack any development that would make them standout. Their motivations are clear, win the war, but yet it doesn’t seem like enough as some of their dialogue and actions are over exaggerated and out of place compared to the rest of the films tone. They don’t do enough for us to despise them, they’re forgettable villains much like the other DCEU films. The film features a variety of set pieces taking place over different landscapes with different parties fighting against each other. The final set piece in the third act is the weakest of them all as it seems uninspired and starts to fall into BvS conversation with its inconsistent special effects. It’s fine but for a movie so good it deserved to be better. The cartoonish effects can be disorienting as we try to identify who and where the protagonist and antagonist are. Thankfully there is more than enough action throughout the film for us to forgive them for it. There was a lot on the line for Warner Bros up until the release of Wonder Woman. Another film dividing fans and critics wouldn’t bode well for the future of the DC Extended Universe. 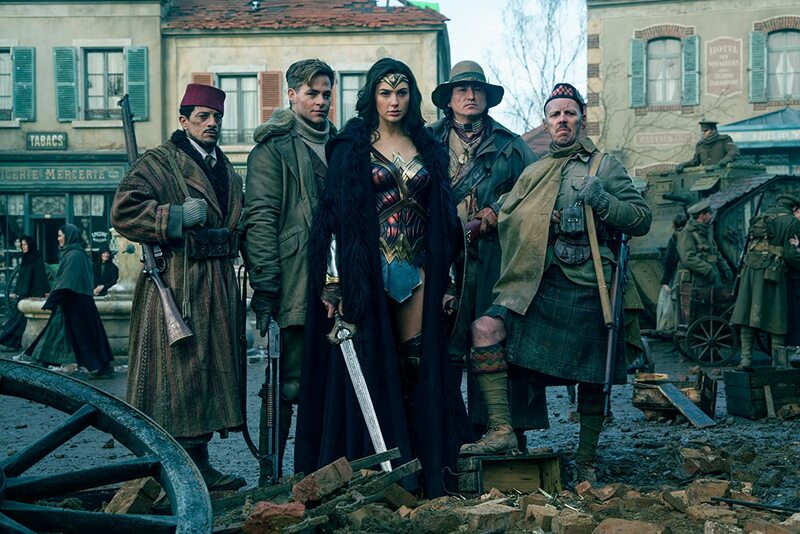 The team of Jenkins and Gadot help to put a cork on that conversation for a little while as Wonder Woman is a thrilling epic that takes the audience on a ride. A dynamic cast of likeable characters help to push the film over the top and forget about the gripes. Jenkins meticulously inserts her own flare which makes for large set pieces and small moments of intimacy between characters. Wonder Woman is one of the best superhero films in recent years and has potential to be one of the most influential films of this generation.